This gorgeous piece was a birthday present from my mum and one of my sisters. 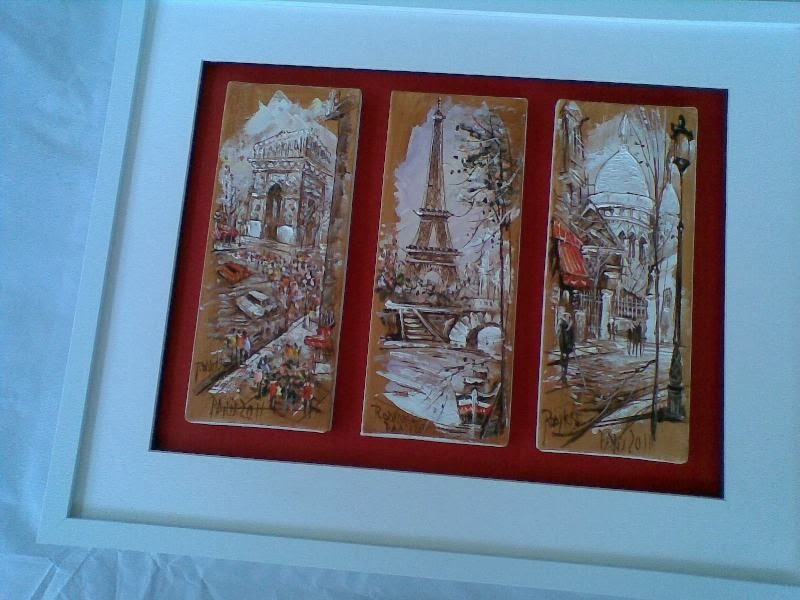 They bought the three canvases from a square in Montmarte during their recent trip to Paris. The individual pieces are incredible alone, but they mounted them together and I think they look stunning. I have to rearrange my entry space/living area to give it pride of place now. I can't stop gushing about it. They gave me a desripction of the artist who painted them, she was eccentric and wild with paint in her hair and down her clothes. After they bought the pieces it started to rain and she carried on under an umbrella not stressing that her other canvases were getting wet. She said 'its okay, they're canvas' without a care. I love that image. Though I love my art even more. More stories from the weekend to come, just in a course for work right now so I should pay attention. Got my new phone too!